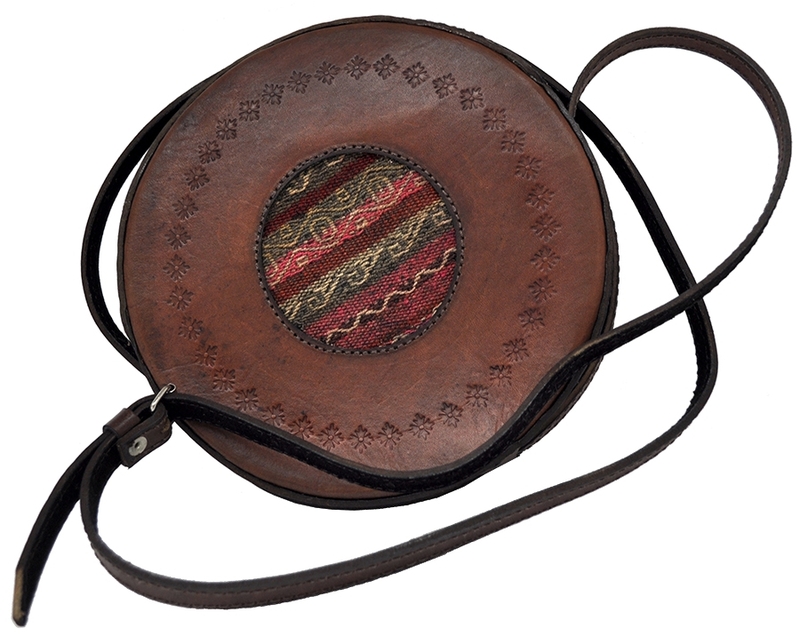 This lovely shoulder handbag combines leather with the aguayo tradition which gives it a unique touch. 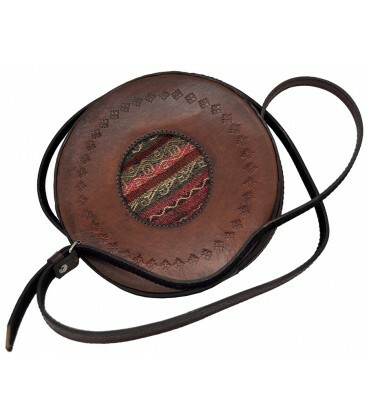 The round shape is attractive as well as practical thanks to a long zipper and the adjustable strap. The bag is completely handmade, and the aguayo appliqués that we use are unique, so the design of each piece may differ from the photograph.